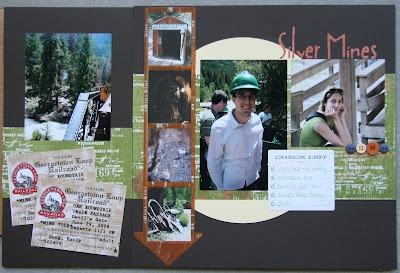 This is a “3” page layout of our ride on the Georgetown Historic Loop Railroad and tour into the Silver Mines in Colorado. 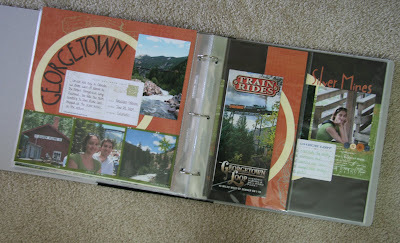 I used a 6×12 page protector to create the “third” page – with extra photos/momentos from the trip. I’ve added pictures of the layout in the album so you can see how the 6×12 page lays. 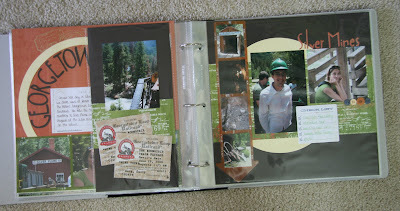 Details: Papers, journaling blocks, and film strip overlays are all by Little Yellow Bicycle. 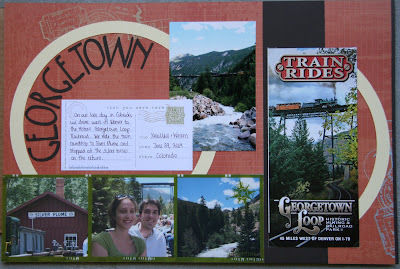 “Georgetown” and “Silver Mines” were cut using the Lyrical Letters Cricut cartridge (Jack Sprat feature).